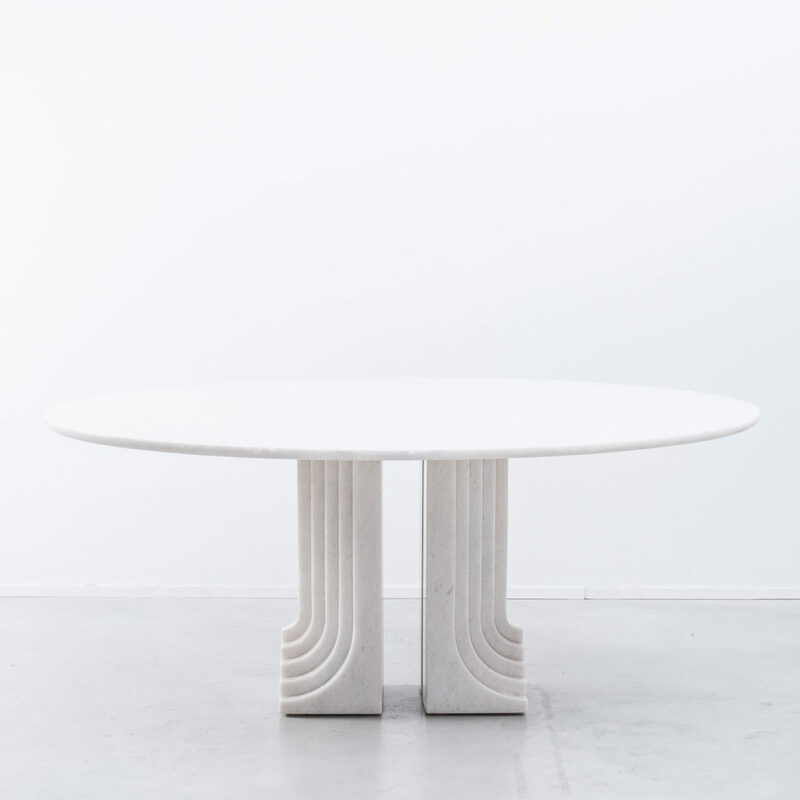 Carlo Scarpa ‘Samo’ table, produced by Simon, Italy 1970s. 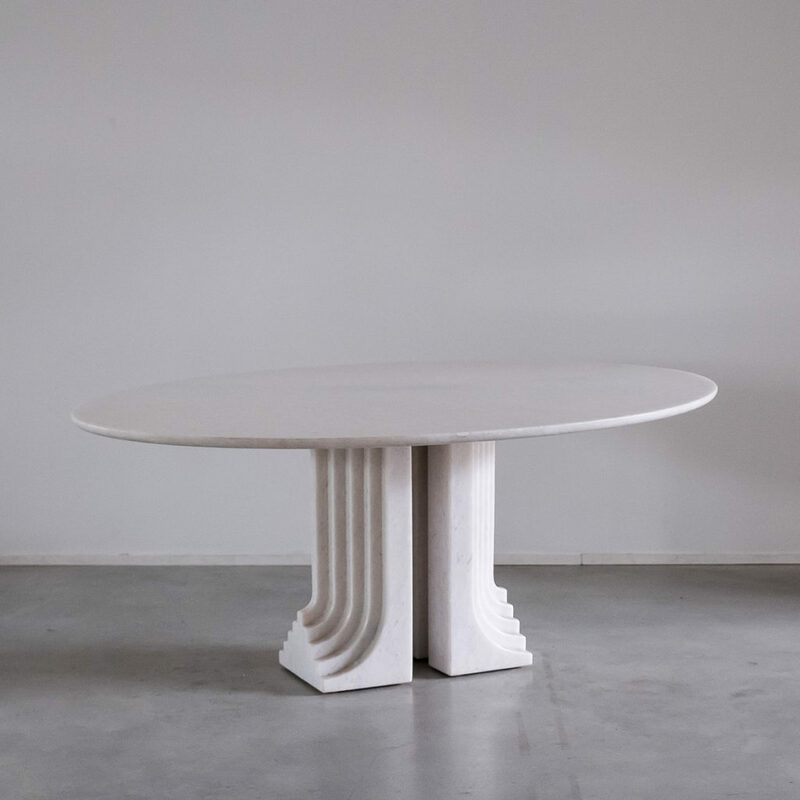 Part of the ‘Ultrarazionale’ collection by Simon, the base is formed of two pillars of Carrara marble, layered like map contours in relief. 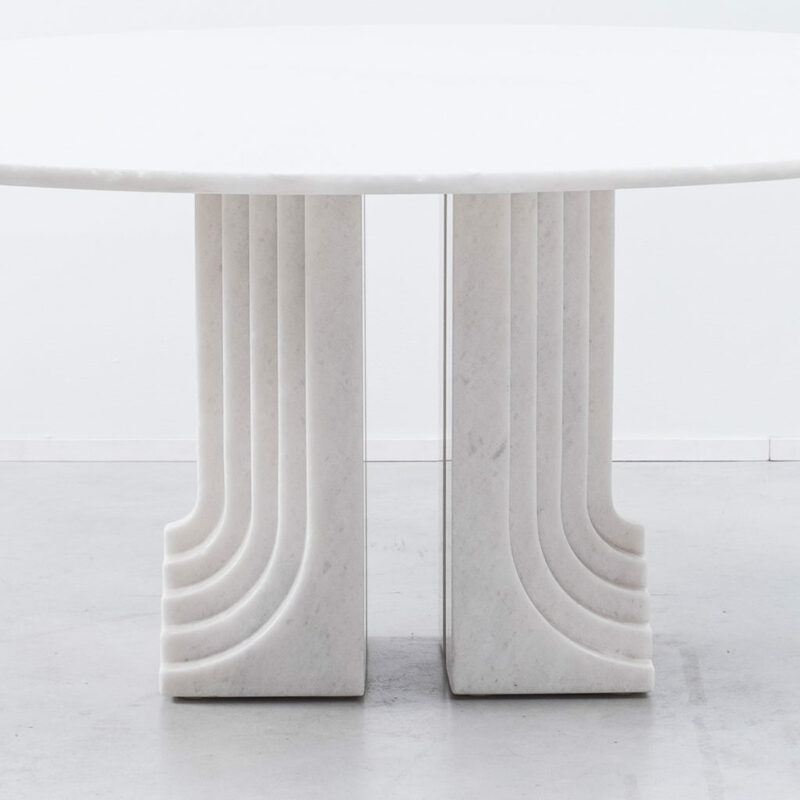 The oval tabletop floats of this marble monolith. 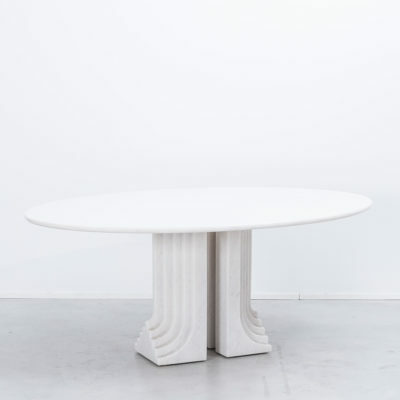 At the time, the use of luxurious solid marble was a luxury antidote to the ubiquitousness of low-cost plastic and moulded fibreglass. Carlo Scarpa (1906-1978) was an architect who mastered materials, detail and light. He is most famous for Castelvecchio Museum in Verona, the Olivetti showroom in Venice and the Brion Tomb in San Vito d’Altivole. The aesthetic drew on Japanese minimalism and organic forms of nature. 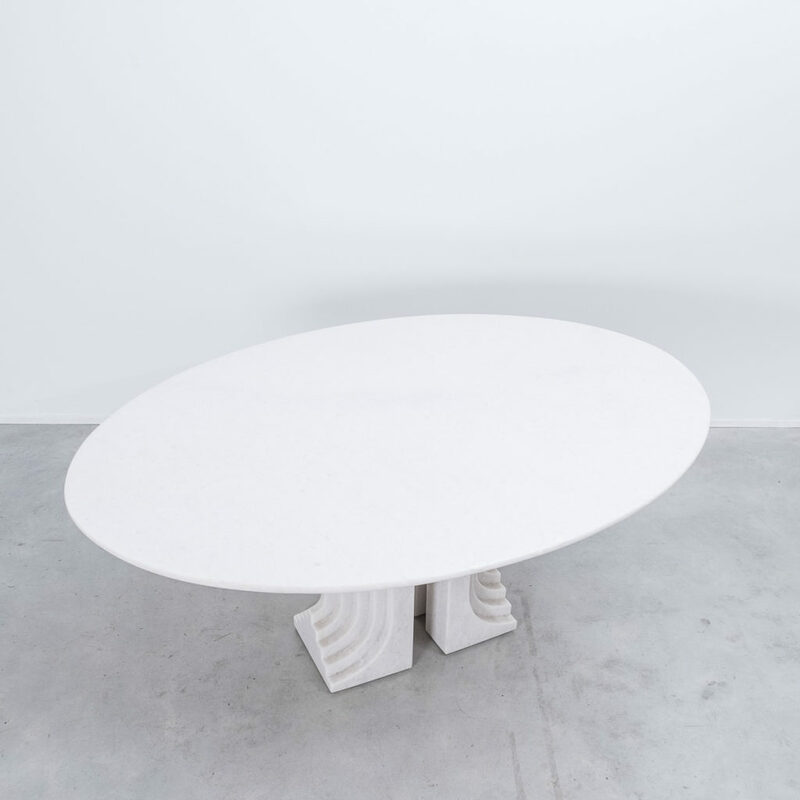 The table, which has both an architectural and organic presence, harnesses gravity to secure the table top. Literature: Gramigna, Giuliana. Repertorio del Design Italiano 1950-2000 per L’Arredamento Domestico. Allemandi: Torino, 2003, p. 180. NB. One pictured is sold, new pictures on the way – carrara marble grain is more vivid – excellent condition.